May 5 – Abraham Entin Performs his play: Who Do We Owe? 3:00 – 5:00 pm Please allow extra time for parking. Due to construction, there is no longer a parking lot available. Street parking only. For more information about Abraham visit www.steinerbooks.org where his memoir, Living on the Fringe, is now available. Parenting Skills Workshop to Address Stress and Anxiety in Teens. Join us in conversation to talk about overcoming parenting difficulties by gaining understanding about developmental needs and by learning creative parenting skills that can help make your family life more simple. What does it mean to an adolescent to be creative? How can we, as teachers, make the space and mood to foster creativity? If given the chance, will our students take the initiative to let their imaginations roam and bring to life ideas never before thought? Joan Caldarera and Jon McAlice will lead morning sessions exploring aspects of inner development, individuality and presence in adolescents. Afternoons will be focused on practices for increasing self-directed activity in the various disciplines. It is possible that now we are called to challenge the students, provide the materials they need—and then to get out of their way as they discover the world for themselves. What would it look like in our classrooms if we were advisors, not evaluators; if our students acted as peer reviewers and “graded” each other? If failure were seen as just another possibility on the way to understanding? If teachers and students actively engaged the unknown—together? Who am I as an individual in this present time? Can we find humanity in a time of mechanization in all spheres of life, including thinking? What is the Threefold Commonwealth and can we strive towards attaining it? Can I find the good? We ask that you consider sharing with the group, for 5 minutes, a concern that you prepare in advance of the gathering. You will be asked to sign-in on a list of those who would like to speak. We will time ourselves! We will also break out into groups that would like to develop and “carry” a theme to be presented in future Present Moment gatherings. Manar Vosgueritchian is educational director for the House of Hope, an aspiring Waldorf school in the West Bank. Manar is studying Waldorf education at the David Yellin Academic College of Education in West Jerusalem. She is a seasoned art and music therapy provider for children experiencing toxic stress and trauma and a seasoned practitioner of Nonviolent Communication. Parking is limited neighborhood parking. Muni lines 1, 3 and 24 accessible. For more information, please visit: www.supportinghouseofhope.org or watch this video: https://vimeo.com/285140820. We will gather on this ’12th day of Christmas’ in celebration of Epiphany and enjoy a conversation about insights we may have had during the Holy Nights. There will be light refreshments. If you are inspired to bring something to share, please feel free to do so. This could be something to eat or drink, or a poem, or a painting. This will be an opportunity for real sharing. February 3, 2019 – Please note on your calendars that the next gathering of the Bay Area Anthroposophy group will be on Feb. 3, 3:00 – 5:00 pm. Details will be sent out in early January. Unfortunately, Nicanor Perlas has had to cancel his trip. The book by Nicanor Perlas is available at www.steinerbooks.org and other online sources. 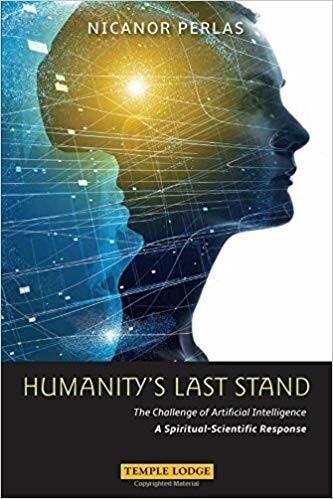 NICANOR PERLAS is an adviser, global activist, writer and speaker on artificial intelligence, globalization and spiritualized science. He has advised UN agencies, the Office of the President and Congress as well as cities and towns undertaking large-scale social threefolding projects. Perlas is a member of the Senate Task Force on Artificial Intelligence. For the global impact of his work, he has received the Right Livelihood Award (Alternative Nobel Prize), the Outstanding Filipino Award and UNEP’S Global 500 Award. He is the author of Shaping Globalization: Civil Society, Cultural Power and Threefolding.